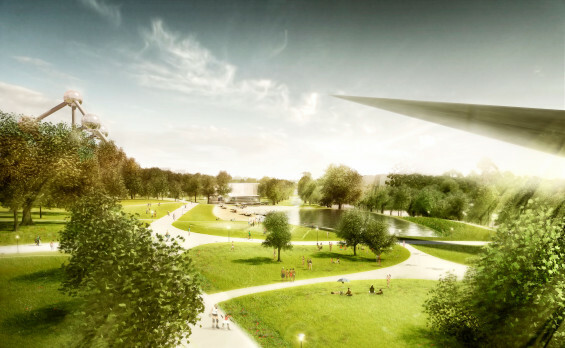 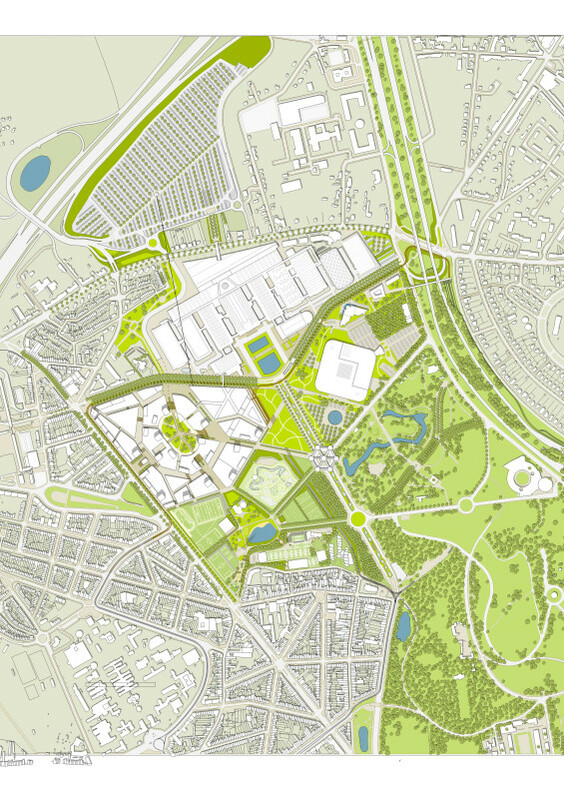 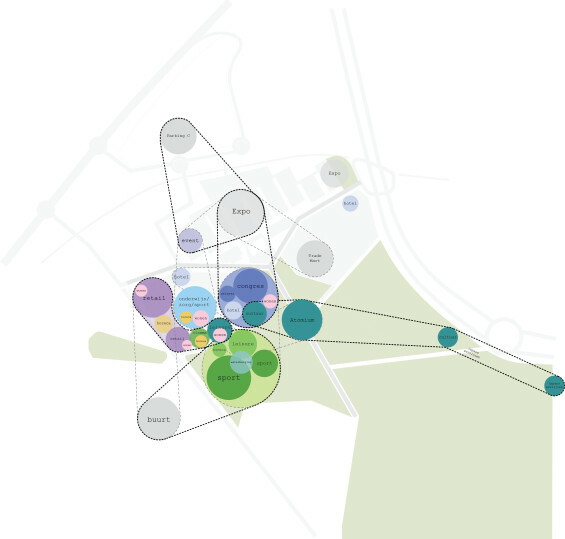 NEO Brussels masterplan prescribes the redevelopment of Brussel’s Heysel plateau, one of the most strategic locations in the Brussels Metropole Region. 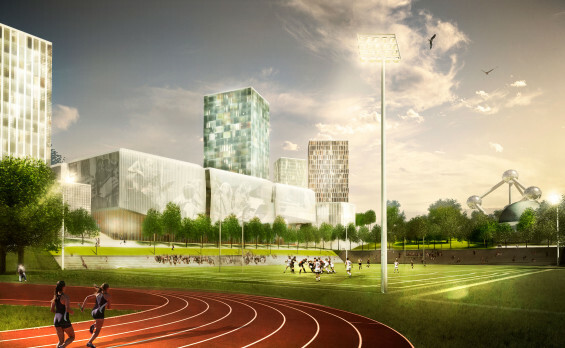 The design for NEO Brussels aims to strengthen the significance of the Heysel, and to qualify it within a framework for sustainable development. 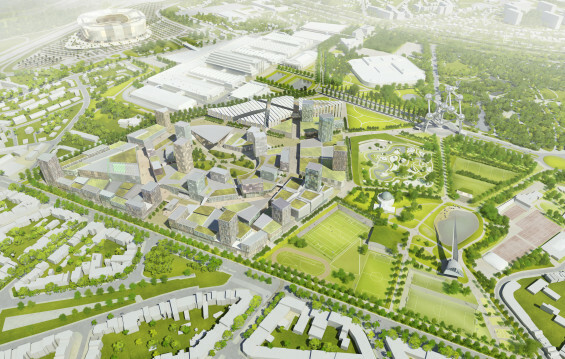 A masterplan for the Heysel is being developed for the first time since the 1958 World’s Fair. 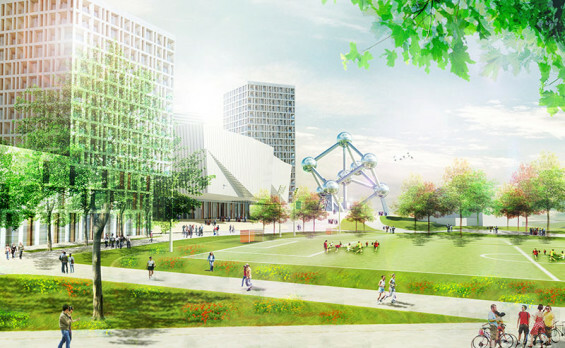 This requires a strong vision that integrates Brussels, Belgium and Europe in one place. 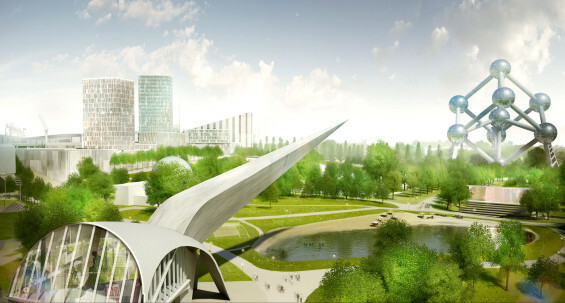 NEO Brussels is also a park. 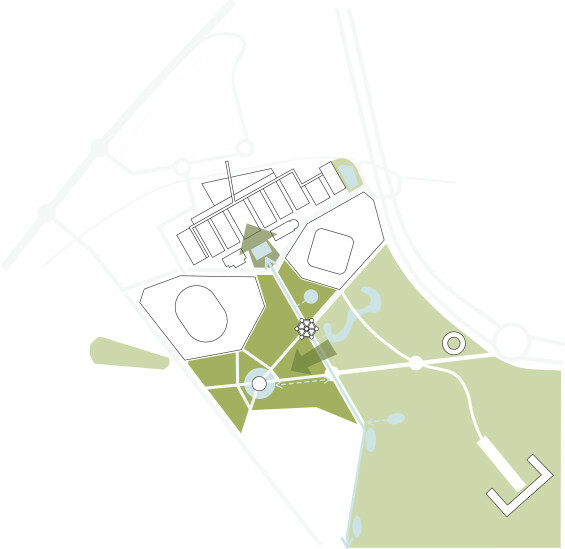 A powerful green space of more than 25 acres that connects and that is accessible to all visitors and residents. 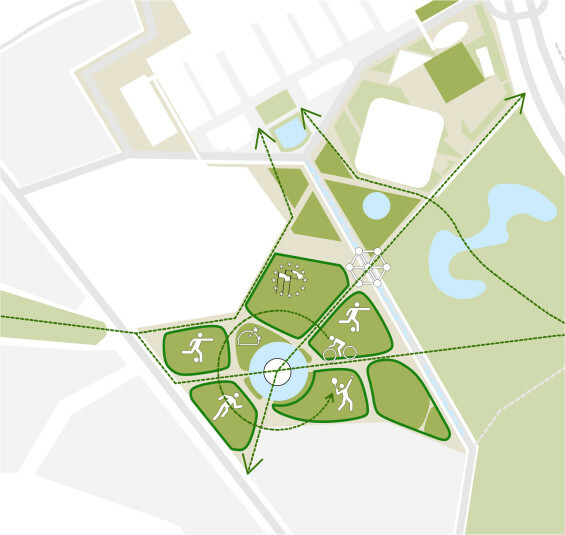 This green structure offers great potentials for sport, for cycling and for walking. 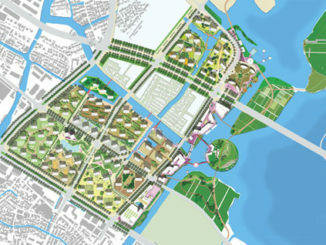 Above all NEO is a ‘Grand Projet’ with the structure of a rich history. 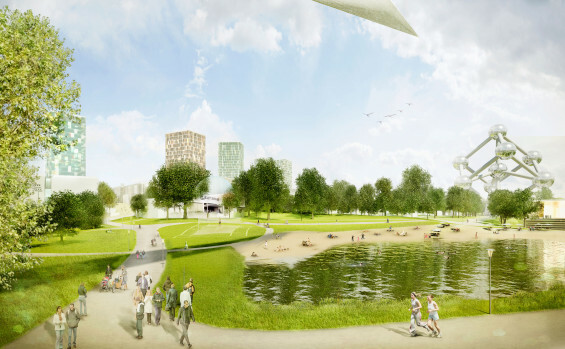 The architecture and public spaces must reflect the optimism and future-focus of the world fair.